Before we locked the door, we promised Samoa (the cat) that Darren would be there soon. She was grateful because she's really a people cat even though she doesn't like to admit it. We loaded up the rental car and began our journey west. Our first stop was Oxford OH where we dropped off the van for Kayla to use during our trip. Once we left Oxford it was a short drive into Indiana. Soon after crossing into Indiana we witnessed the beauty of this very spacious land of ours. 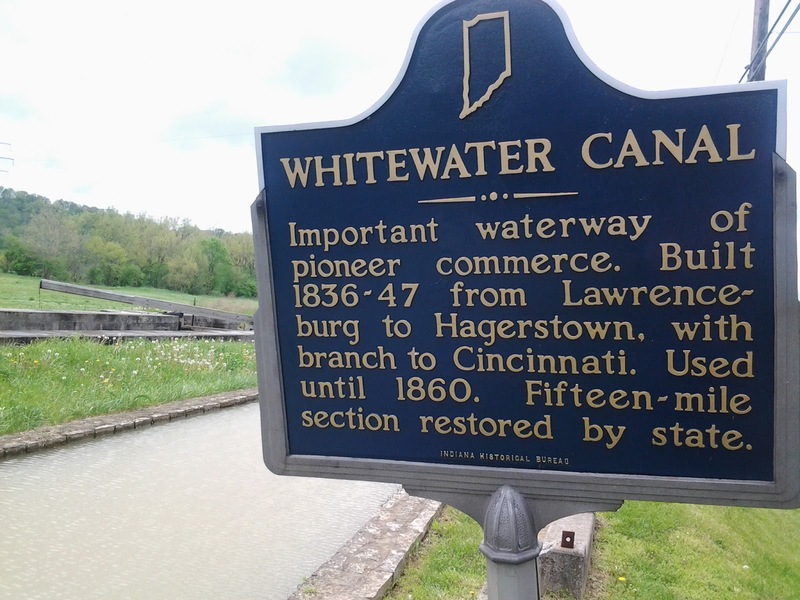 Historical sites like Whitewater Canal and the little town of Metamora Indiana. During our 400+ mile day of driving we experienced lots of rolling farmland across Indiana and Illinois. We called it quits in Moline IL. Not quite as far as we had hoped for the first day but far enough.